IS THAT THE 12” REMIX? September 10, 2016 / electricityclub / Comments Off on IS THAT THE 12” REMIX? 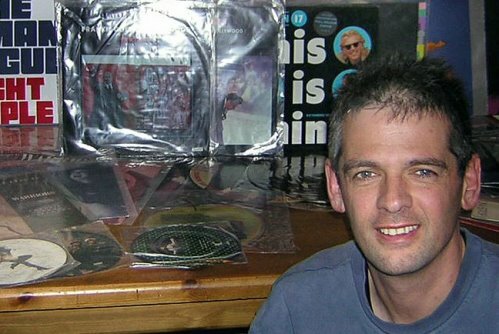 First published in 2011, ‘Is That The 12” Mix?’ was author and music aficionado ROB GRILLO’s personal but well-informed history of the 12” single. In keeping with its story tracing the emergence of the extended remix as an artform in its own right, Grillo has now remade and remodelled his book in a new 2016 version. 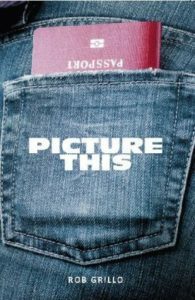 Retitled ‘Is That The 12″ Remix?’, the new edition features contributions from the likes of Neil Tennant and Rusty Egan as well as more photos and an extra 20,000 words. Among those words, The Electricity Club are interviewed in a chapter entitled ‘Providing a Service – The Fan(atic)s part one’ which discusses the rise of the independent music blog. Meanwhile, TEC’s 25 Favourite Classic 12 inch Versions listing also makes an appearance in the ‘Chartfile’ appendix. What was the motivation behind a second edition of ‘Is That The 12” Mix?’? Since the first edition came out, I’ve build up many more contacts and relationships in the music industry, so I was able to use some of them, and additional information to build a new edition. Plus there were one or two bits that needed updating or correcting. 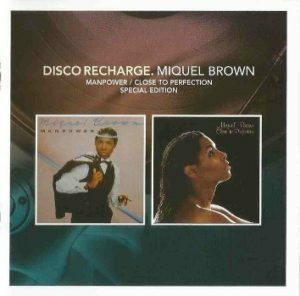 I’d just helped Demon Music with a few Hi-NRG related album reissues, one of those being from MIQUEL BROWN. It bugged me that I hadn’t used an image of her in the first edition, so it inspired me to get some more permissions and start that new edition. I always felt that the first edition could have been promoted a little better, part of that being my own fault. It seemed right to change the title of the book from ‘12” MIX’ to ’12’’ REMIX’, reflecting the whole concept of what the book is about. So the original book has enabled you to get involved in the ‘Disco Discharge’ reissues? Yes. Sort of. When I discovered that the team were planning to put out Ian Levine related issues on the ‘Disco Recharge’ side project, my suggestions were probably taken more seriously because I’d done the book and written about Levine himself. Then I got involved in sourcing of and identification of certain mixes, not easy when the US mix has tiny differences from the UK mix and that very few people have actually realised. It did help that I have an almost complete set of Record Shack 12” vinyl, that’s the label with which Levine enjoyed his 80s resurgence before starting his own labels. Any good remix has edits and sections left out. Have you done anything to the book on that front? What did you specifically want to include now, that you couldn’t do back in 2009? Updated and corrected information in particular, and, as mentioned above a few more rights to use images – particularly from Ian Levine. Luckily Simon White, who I helped out with the ‘Disco Recharge’ releases was able to assist in that matter. 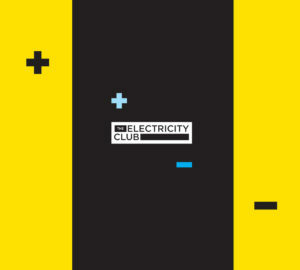 I wanted to do on a feature on The Electricity Club in particular as your site started just as the first edition came out, and one of the other featured sites changed its name completely, so that needed updating too. 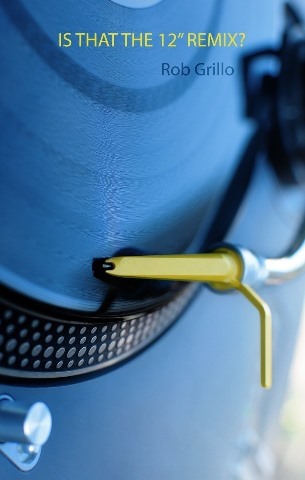 Since the first edition was published, there’s been a resurgence in vinyl. Is it something you’re still into today? Yes, absolutely. There’s not much I regret in life, but one thing I really can’t get my head around is why I got rid of loads of vinyl about 20 years ago. I’ll never fathom out why I did that. A couple of months ago, I had a rummage around an absolutely cracking second hand vinyl record shop in nearby Huddersfield and arrived back home with no less than 23 12” inch singles from the 1980s. I went back last month and bought 29 more. I had no idea the shop existed this time last year. There’s still a load of old vinyl I need for my collection, much of which I prefer to stumble across in stores or car boots rather than hunt down more easily online on sites such as Discogs. I haven’t bought much new vinyl, although I should do really. What you do feel about the phenomenon of youngsters buying vinyl, but not actually playing it and listening to the download instead? I guess it’s a bit of a novelty among the younger generation. It’s nice that they have the physical product, because you tend to cherish it a bit more compared with a download that you can’t see, or hold, or smell, and can delete when you’ve got bored of it. It’s all about immediate gratification these days, so when you’re bored of a download you just delete. They won’t throw away their records the same way. Hopefully they will appreciate the artwork and the physical product the way our own generation does, but I don’t really think we’re going to see another generation of ‘record collectors’. Is that a paradox? It’s great that lots of mixes that have been hard to find have been put together to complement a remastered album or compilation. It’s a bugger when the labels don’t get it right though as there are so many instances of wrong mixes and poor remastering on many CD reissues. Take ALTERED IMAGES ‘Don’t Talk To Me About Love’ – the 12” mix has never appeared on CD, only some slightly butchered version that was used on an ALTERED IMAGES compilation several years ago. Every subsequent compilation using that song has used the same, incorrect master. That’s just lazy. I liked the SWING OUT SISTER ‘It’s Better To Travel’ deluxe set because the band listened to the fans and changed the tracklisting, and the mixes they used, when it was pointed out that the set could be improved. What was your favourite chapter to write and why? I don’t really have a favourite chapter. Some are about the music scene in the 1980s, while others are about my own childhood – the long gone Greenhead Youth Club (Keighley’s very own Blitz club) for instance, so each chapter was something I enjoyed putting together (and in this case, remixing). Your top 10 five favourite 12” remixes and why? 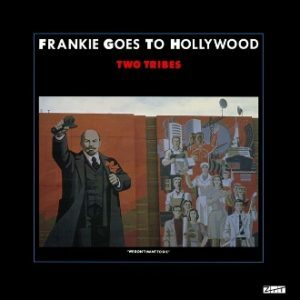 ‘Two Tribes (annihilation)’ by FRANKIE GOES TO HOLLYWOOD, which is among most people’s favourite mixes. ‘It’s My Life (Steve Thompson’s US remix)’ by TALK TALK… how to remix a song properly; Thompson had a knack of making a great song sound even better in remixed form. I adore his mix of A-HA’s ‘The Sun Always Shines on TV’ too, although I notice you prefer the original 12” to his mix. 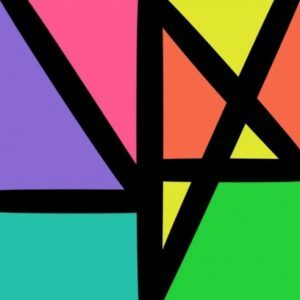 NEW ORDER’s ‘The Perfect Kiss’ is pretty perfect, although that’s really a full-length mix rather than an extended version. And the remix that on paper should have been brilliant, but turned out to be rubbish? FICTION FACTORY ‘Feels Like Heaven’. A straight extended version would have been great, but in the pre-digital age, new mixes were often created instead. 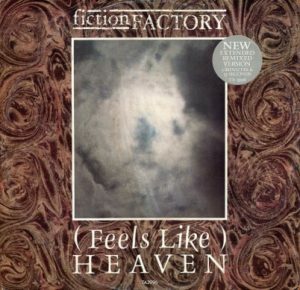 It worked for DURAN DURAN, but the 12” mix that the label commissioned for ‘Feels Like Heaven’ seemed to lack all the vibrancy of the original 7” mix. Also, have you heard the alternative 12” remix of ‘Indestructible’ that Arista put out in the UK, the ‘Infinity dance mix’? It’s the worst remix ever in the history of the world. Even worse than any of those awful 90s techno remixes that sounded nothing like the original mixes. Someone should have been shot for approving it for release. Like writing and photography, has the easy accessibility of technology made the remix less of an artform these days, with a lower quality acceptability threshold than in the past? Yes. It was always nice to have an extended version, and often an extended remix. ZTT did the multiple remix thing really well in the 80s, but I haven’t time for the multiple remixes that you might get on PET SHOP BOYS or NEW ORDER CD singles these days. They are iconic bands, with iconic 12” mixes, but their new output, as good as it is, is just remixed to death. Saying that, the latter’s ‘Complete Music’ set does contain some great straight extended versions of the tracks from ‘Music Complete’. What style of remix do you enjoy these days? As I’ve alluded to earlier, a straight extended version, or remix that keeps most of the original. With regards electronic music, there seems to be a lot of books on the dance scene but few on say, synthpop. Does synthpop still have a general credibility issue in your view? How do you see music blogging these days? What is the difference between a site that gets it right, and a site that gets it wrong? Let’s just say that sites that get it wrong don’t tend to last very long or attract many readers. What new acts do you rate today as being as good as those heritage acts we loved back in the day? I don’t pay enough attention to today’s bands. MARSHEAUX are still making great music, although I still prefer to buy new music from old bands… ABC, DURAN DURAN, OMD, NEW ORDER… their output is every bit as good as much of their output back in the day. Saying that, I daren’t tell you which acts I’ve seen live recently. I would lose all credibility…. Good question… well the novel ‘Picture This’ has had some amazing reviews, although we could do with a lot more sales if there’s going to be a sequel to that. I get a lot of requests and offers from book companies to do sports books, which is where I started out, but I have no interest in pursuing that any more. Let’s just see how well the new edition of ‘Is That The 12” (Re)Mix’ does.